Understanding generational differences is a key to effective ministry in a multigenerational church. 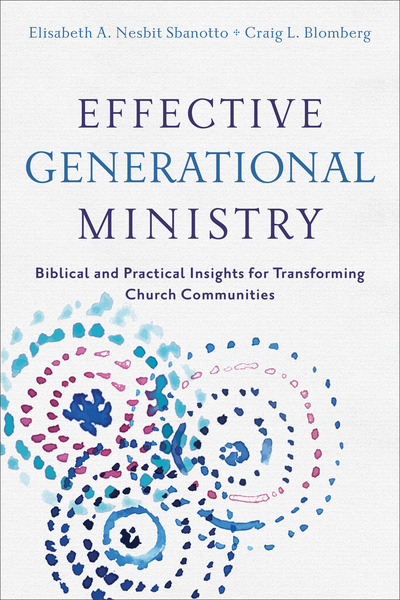 This book offers students and practitioners cutting-edge research and biblical analysis of three generations--Boomers, GenXers, and Millennials--so churches can minister more effectively within and across generational lines. The authors, one an expert on generational differences and the other a respected New Testament scholar, represent different generations and areas of expertise. The book explores key characteristics of each generation, provides biblical-theological analysis of generational attributes, and offers specific suggestions for ministry.